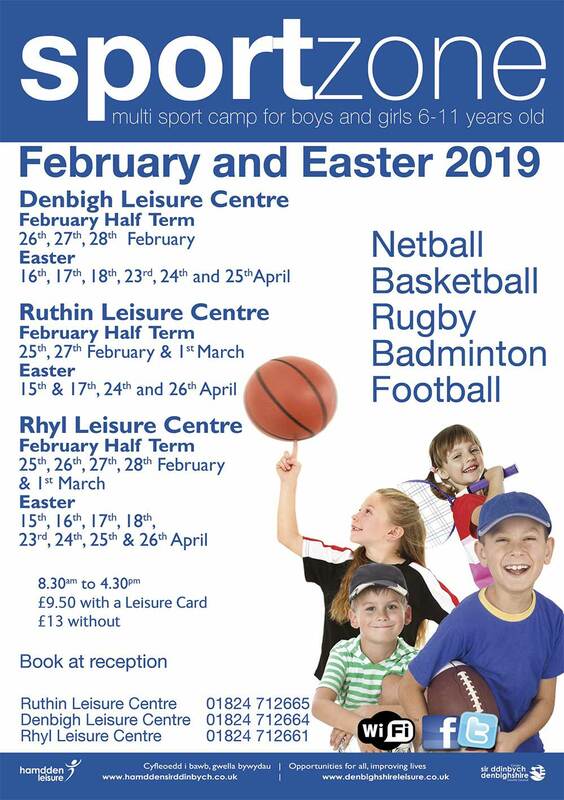 Camps are available at our Corwen, Denbigh, Rhyl and Ruthin centres. Sportzone camps run from 8.30am to 4.30pm and are £9.50 per day for Leisure Card members an £13 per day for non members. Click on the links below for more information and to download an application form.